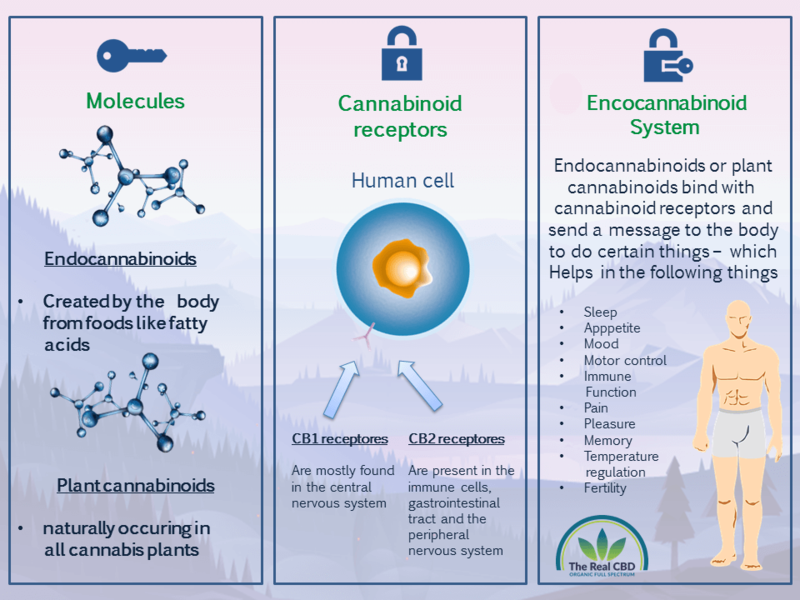 How CBD works inside our body? CBD is one of over 114 plant compounds known as cannabinoids. Cannabinoids are compounds that bind to special receptors on your cells, called cannabinoid receptors (CB1 and CB2). CB1 receptors are found mostly in the central nervous system. CB2 receptors are part of the immune system and found in the blood cells as well. CB1 play a role in the production and release of neurotransmitters. CB1 receptors are also involved in the lipogenesis process which is the body’s internal balance. Various studies suggest that CB1 also influence pleasure, concentration and appetite, memory and pain tolerance. CB2 receptors affect the immune system, being involved in a variety of functions like immune suppression or apoptosis (cell death). Studies suggest that CB2 effects the pain sensation and could play a role in various diseases, from liver and kidney problems to neurodegenerative diseases.